BBC NEWS | Entertainment | Does the BBC have a bias problem? Does the BBC have a bias problem? 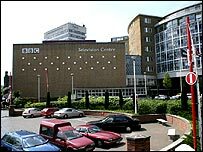 If you've read the newspapers, you may have got the impression that a BBC report on impartiality has concluded that the BBC is "institutionally biased". The Sunday Times reported that "the bias has extended across drama, comedy and entertainment, with the corporation pandering to politically motivated celebrities and trendy causes". The Daily Mail headline said "BBC comes under fire for institutional left-wing bias". It stated that "senior figures at the corporation were forced to admit it was guilty of promoting left-wing views and an anti-Christian sentiment". In fact, the report doesn't reach that conclusion - though it does quote people who hold those beliefs - and it also reflects concern over programmes associated with the Make Poverty History campaign, notably The Vicar of Dibley. In fact, the report is a remarkably frank dissection of the BBC's attempts - and difficulties - in maintaining impartiality in the 21st Century, across its wide range of outlets and programmes. 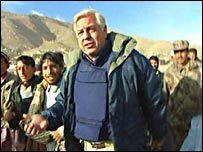 Richard Tait, the BBC Trust member who chaired the team overseeing the report, is a former editor of ITN. He said: "It doesn't say the BBC has a liberal bias - it says the BBC will have to work even harder to maintain the trust of the audience in future. "Newspapers are becoming viewspapers, people are using the web to get a whole range of different sources of information, and the technology means people can choose their own news." But some former BBC editors think there is bias in the organisation, at least on occasions. The report quotes comments they made at an open BBC seminar on impartiality. 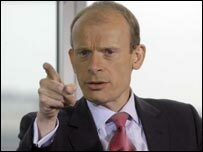 Former political editor Andrew Marr said the BBC is "a publicly-funded urban organisation with an abnormally large proportion of younger people, of people in ethnic minorities and almost certainly of gay people, compared with the population at large". All this, he said, "creates an innate liberal bias inside the BBC". "It's a bit like walking into a Sunday meeting of the Flat Earth Society," said the Daily Telegraph's Jeff Randall about his time as the BBC's business editor. "As they discuss great issues of the day, they discuss them from the point of view that the earth is flat. "If someone says, 'No, no, no, the earth is round! ', they think this person is an extremist. That's what it's like for someone with my right-of-centre views working inside the BBC." Tait says the fact that the BBC could accommodate both Marr and Randall shows that those who run it aren't doing a bad job on impartiality. "They are two very fine journalists with very different views of the world, both of whom did excellent jobs at the BBC producing impartial journalism. "It's a matter of professionalism - it doesn't matter what your private views are so long as you keep them private." But the report does acknowledge that things went wrong over the Make Poverty History campaign in 2005. It cites differences of opinion among BBC executives over an episode of The Vicar of Dibley, which coincided with the formal launch of the campaign and featured the Make Poverty History video and website. The writer of the comedy, Richard Curtis, was spearheading the campaign but nowhere was that acknowledged by the BBC. The report says: "One view was that this was a laudable attempt to use the BBC's most popular comedy show to harness public interest for a worthwhile cause. "Another (admittedly less widespread) view was that an unsuspecting comedy audience had been ambushed." 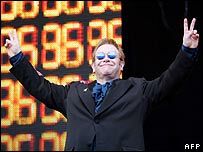 There were similar concerns over a one-off drama called The Girl In The Cafe (also written by Curtis); the broadcast of Bob Geldof's Live 8 concert in Hyde Park; and the subsequent Africa season of programmes, including a Geldof series. All of these were linked to Make Poverty History, leading up to the report of the government's Africa Commission and the G8 summit in Edinburgh. The report quotes Curtis as arguing that Make Poverty History was a movement, rather than a campaign, so the BBC should not have been so concerned about impartiality. He said all the main political parties were in support, which he believed made it uncontroversial. The report's conclusions reject this view. One of the new guidelines on impartiality says there must be "particular vigilance when programmes purport to reflect a consensus for 'the common good', or become involved with campaigns". It says there are pressures on impartiality from the "seductive mixture" of well-connected talent, high-profile and well-meaning lobbyists, and the sympathetic involvement of production departments. "Increasingly manipulative and media-savvy pressure groups are hungry for free airtime, and so are governments," it cautions. "Live 8 was not a one-off - it was the future writ large. Next time it will be a spectacular about conservation, cruelty to children or climate change." Tait believes that, in the end, the broadcasts stayed within the impartiality guidelines. But it illustrates all too clearly how the complex the whole concept of impartiality is in the 21st Century.